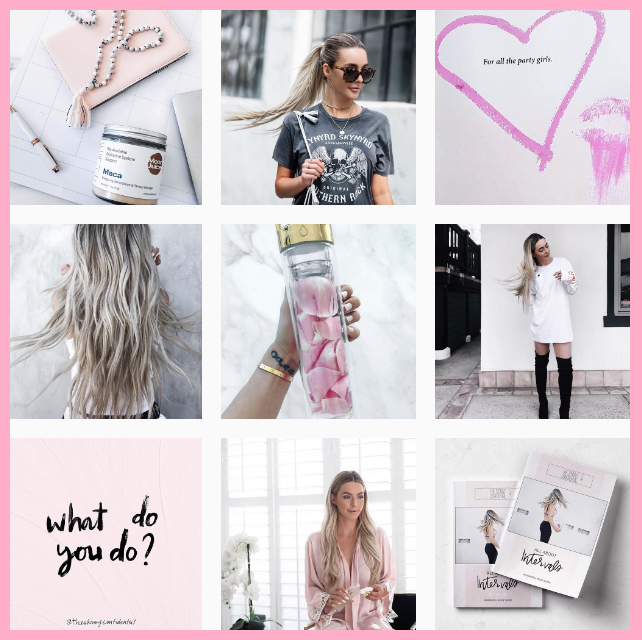 Let’s talk Instagram. 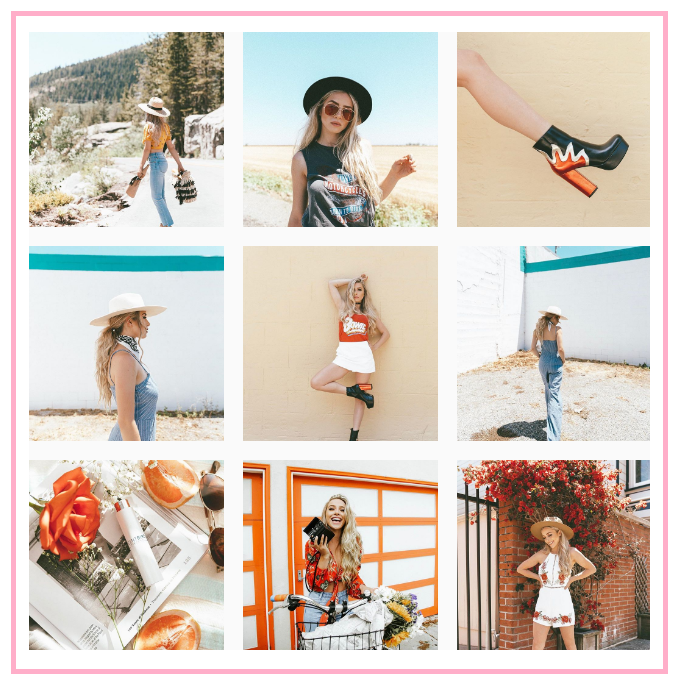 In particular, how to achieve that flawless Instagram feed. Over the years, I learned a thing or two about planning that eye-catching grid, yet I still feel like I haven’t found my aesthetic. It’s both because I like to switch things up quite regularly, and because there’s just too much to share! Most of the time, once I figure out how I like my Instagram feed to be, there comes a photo that I simply feel like sharing. RIGHT NOW. Even if it doesn’t really go with my ongoing theme… What do you do? 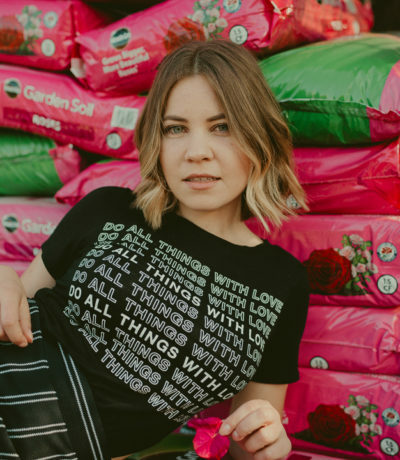 There are many boss babes out there who kill it in this game called Instagram, so I reached out to some of them and simply asked for one tip on achieving that flawless Instagram feed. The response was amazing and I can’t wait to share it all with you. I hope you’ll learn from them as much as I did. Shall we? Use the tool UNUM to plan out which posts compliment each other best. Use the app SNUG to plan your feed- mix it up, don’t post 4 selfies in a row. Bring down the saturation a bit & always shoot in natural light. 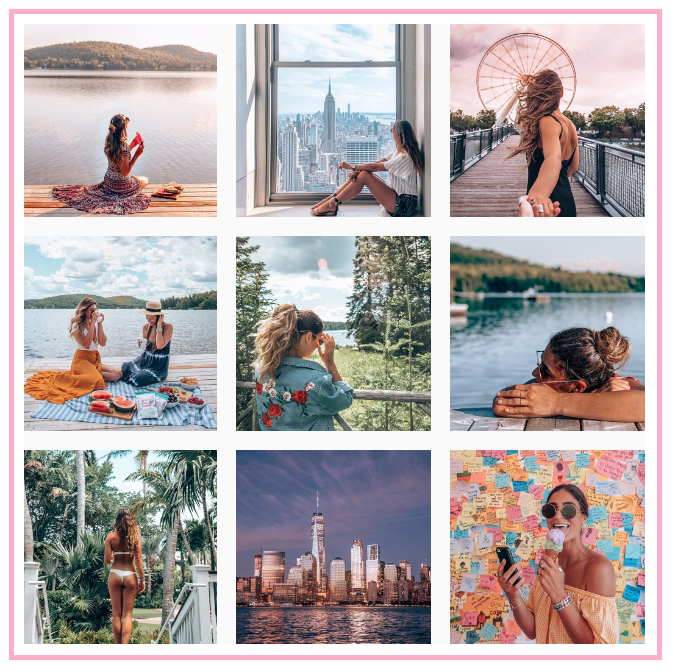 So in getting the perfect insta feed… hmmm the biggest thing for me and my rapid growth was developing a consistent photography and editing style. You want your followers to be able to look at a picture and without even seeing the name say that’s a Lisa Homsy photo! My editing style has progressed a lot over the past year from using VSCO on my phone to upgrading to Adobe Lightroom and now selling my own presets on my website! To help my feed be cohesive I’ve chosen a common theme of blacks, whites, grays and pinks. I usually choose neutral backgrounds and buildings for my background when I take photos. If a photo is too bright or saturated and the colors don’t exactly match my feed, I’ll tone down the Saturation of those colors and play up the ones that do match my grid . I also love including lots of flowers because it keeps everything so pretty and girly. I plan my feed on VSCO app and I usually know what I’m posting a week in advance to keep it as cohesive as possible. I always try to mix it up! For example if I post a photo of myself I like the next photo to be something else like a flat lay, city, food or even a #fromwhereistand. I try to do this because I love when other feeds are a mix of lifestyle and fashion! 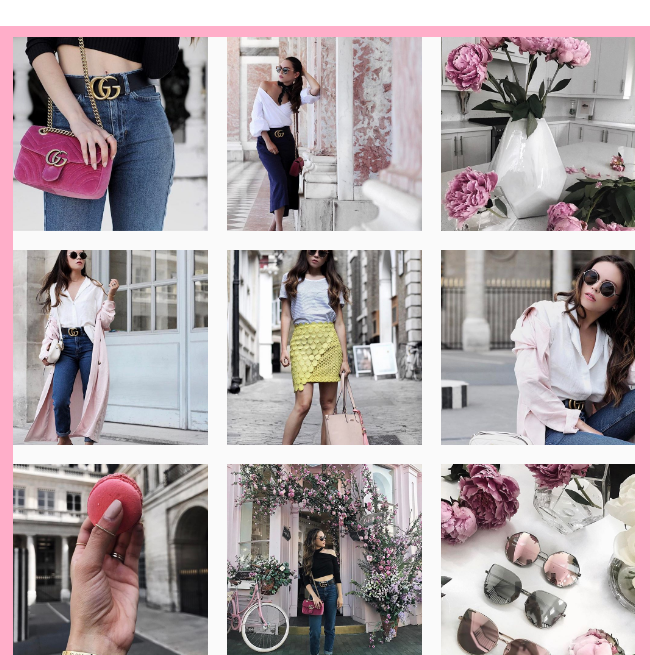 To sum it all up: Use an app to plan your feed in advance (I do that with UNUM also), switch it up (e.g., I don’t like when my outfit photos “stand” on top of each other, so I always make sure there’s a gap in between), stay consistent (if you use a certain palette/ hues/ filters – stick with it or when you decide to try something new, keep the new posts coming in that new easthetic), and BE ORIGINAL. There’s many amazing feeds out there to look up to, but being authentic is what will get you far and consistent growth! 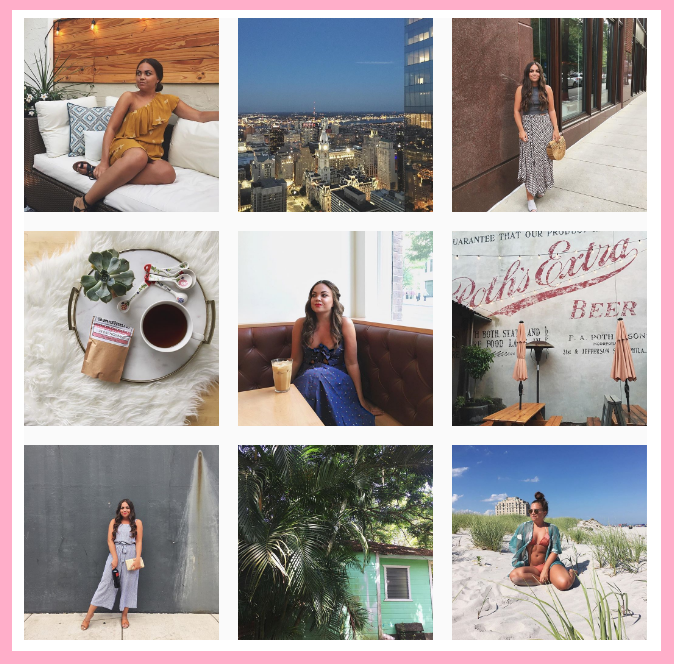 What are your favorite tips for achievieng that flawless Instagram feed? You have such great inspiration also girl, love following your page! Thanks for featuring me in this post babe. I feel honored that you feel that I have a nice Instafeed. The other ladies above have such beautiful feeds! I need to look into this UNUM program! Great post! Really good tips…I’m going to have to check into some of these apps! Their Insta feeds are dreamy indeed. Thank you for sharing these tips, Paulina! Love all this inspo!! Amazing feeds! 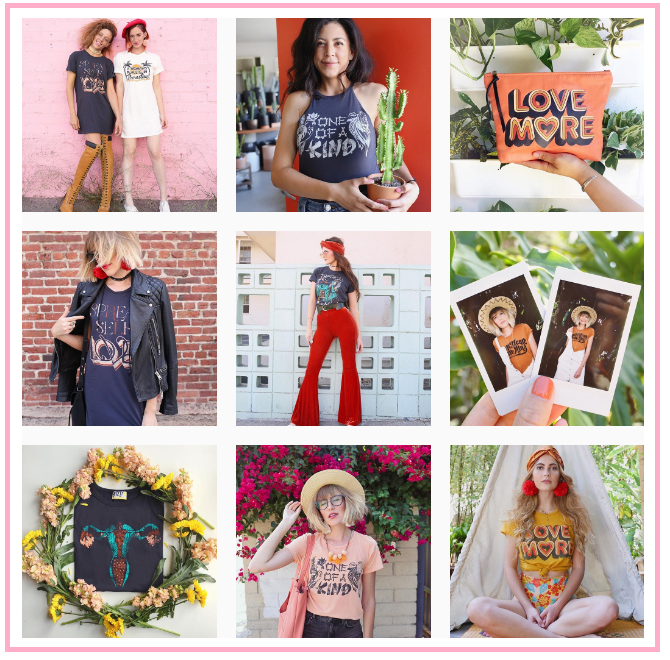 These babes are killing the Instagram feed thanks for sharing this post :)xo! These are such great tips! There are quite a few Instagrammers whom you’ve mentioned that I don’t know! But I’m glad I’ve discovered them! Omg I’ve been looking to makeover my IG and needed to see these beautiful examples. Thank you for sharing! So many great tips!! These insta feeds are all spot on! This was such a great read! What an amazing idea! As a new blogger this was so resourceful and informative for me!